Annapolis is the capital city of Maryland and located on the Chesapeake Bay. Incredibly picturesque and rich in history, the waterfront city attracts a population of almost 40,000 residents. Its historic district provides a window into the past with 18th-century architecture, featuring a quaint array of brick houses and the notable Maryland State House. Annapolis is also home to the United States Naval Academy. From seafood restaurants to sailboats, the Chesapeake Bay shapes the city’s culture. Historic Annapolis is booming with businesses, dining and more! Due to the density and energy of the city, homeowners in Annapolis have a variety of service providers to choose from for custom home projects. It is important to invest in the health of your home and employ routine maintenance of the foundation with a trusted custom home builder. Identifying the best resource in your community is essential for all homeowners. Cedar Square Homes is the premier home improvement specialist in Annapolis, Maryland due to our extensive service list, decades of experience, and commitment to quality. Connect with our team for a custom home builder you can trust! The roof acts as a protective shield for your home, defending against the elements and blocking out moisture. Often, roof maintenance is neglected due to inconvenience and inaccessibility. Prolonged roof assessment makes your home increasingly vulnerable to damage. 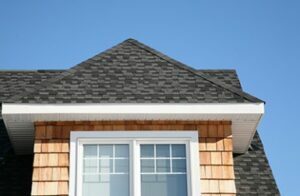 Water from rain or snow could break down the roofing shingles over time and add harmful weight to the frame of the house. Moisture buildup also encourages the growth of mold or mildew, creating hazardous living conditions for your family. The longer roof repair is neglected, the more expensive the procedure will be. Our skilled team has the necessary experience and intellect to assess the condition of your roof and prescribe a remedy. We are committed to superb customer satisfaction and operate with responsive communication. Each project is performed with first-rate materials and we ensure quality results. If you live in Annapolis, Maryland and need a custom home builder, Cedar Square Homes is the ally you need! From roofing repair to siding installation, our team is equipped to tackle a variety of services for our customers. We are committed to excellent customer service and high-quality results. Choose the custom home builder that the Annapolis community trusts! Contact us today or explore our website for more information about Cedar Square Homes.